Gearbox Software’s plan from the start has been to provide four downloadable expansions for Borderlands 2. The season pass 2K Games slapped on top of the FPS title gave a discount, and streamlined access to a promised four pieces of DLC. Since the game came out in September 2012, Borderlands 2 has already released three of those expansions, pumped out on an almost monthly basis to keep the dialogue – both amongst fans and the press – focused on Gearbox’s sequel. So far, the content’s been good. Not great, but good. Even though Gearbox is coming up against the plan for keeping its game viable and growing, based on a teaser shown at SXSW, the studio is going to change up the game with a whole new playable character. “A new vault hunter is coming,” said a short teaser video, showing the hulking silhouette of a character over a red background. The character is apparently some kind of experiment gone wrong that’s escaped an underground lab in Pandora. 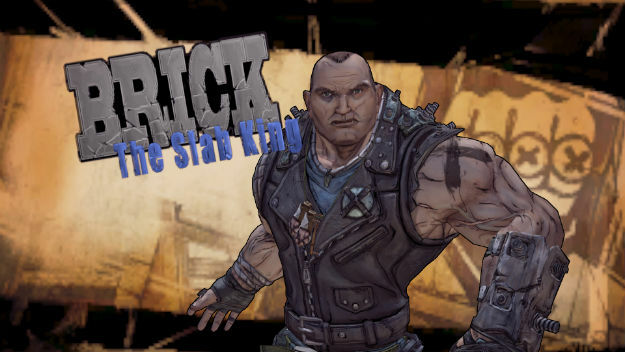 It may very well be a melee-based character like Brick from the original Borderlands. Character designer Jonathan Hemingway and director Matt Armstrong were on hand to answer fans questions at SXSW. The two discussed how, as they finish work on the fourth expansion for the season pass, they’ve been reassessing the character of Brick. That character was the least played vault hunter in the original Borderlands, based in part because his skills were close combat based in an almost entirely gun-based game. The team has been thinking about how to make that type of character fun by making skill trees that stack well on top of one another and include skills that are high risk but yield high rewards. Gearbox Software has hinted that the next expansion will come out before the end of March. Associate Producer on the game James Lopex said in January following the release of Borderlands 2: Sir Hamerlock’s Big Game Hunt, that an update that raised the current level cap for characters would be out by the end of the first quarter. When the fourth expansion releases, likely alongside this new character, that may not be the end for Borderlands 2. Armstrong and Hemingway referred to the fourth content pack as the last for the “current” season pass. Meaning that 2K Games may ask users to pay more money for another round of downloadable expansions in the future.